Published May 26, 2015 at 1600 × 900 in President Faust visit to Botswana 06. 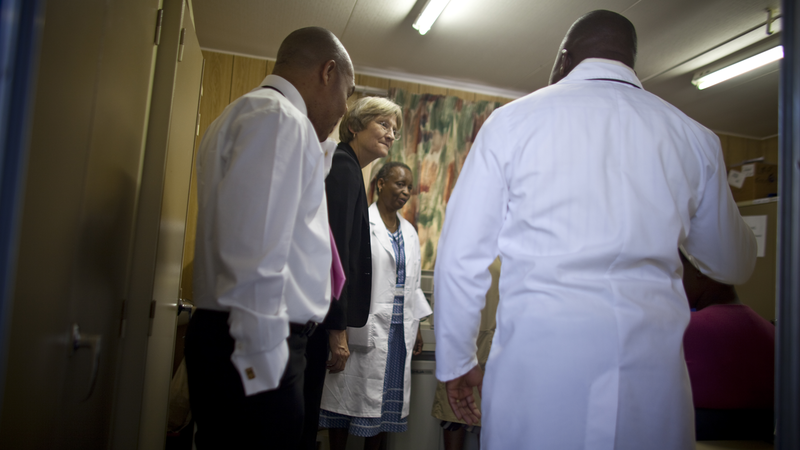 In an examination room at the BHP clinic, Faust talks to the staff about their current research in preventing mothers infected with HIV from passing the virus to their infants. The BHP recently announced results of the Mma Bana Study, which showed the lowest rate of mother-to-child transmission ever recorded for breastfeeding infants.